A little festive drink to kick off the season! The apple cider and ginger beer make it refreshing with a little spice. I definitely suggest getting a silicone ice cube maker to make 4 large cubes to pour your drink over. I also bought mini apples to slice to get the perfect sized garnish! Combine cider and gin in a cocktail shaker with ice. Strain mixture over 1 large ice cube. Top with ginger beer. 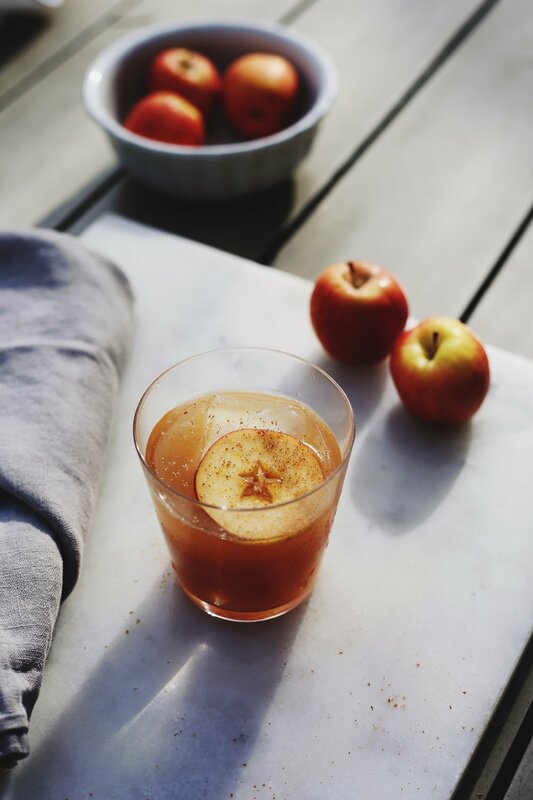 Garnish with apple slice, sprinkle with cinnamon and nutmeg, and serve. Enjoy!